Hyderabad: A new-born child died after “falling” from a bench on which he was delivered at a government hospital in Telangana’s Khammam district. 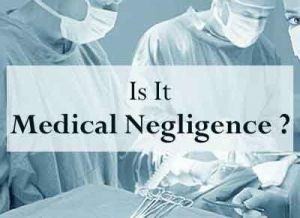 The parents of the child have alleged it happened due to negligence of the medical staff which also denied the mother a bed, even as hospital authorities refuted the charges. The mother, in her mid-twenties, belonging to Pallegudem village of the district, was taken to the hospital last evening when she developed labour pain, her husband N Rajaiah said. He claimed that the doctors told them that there was still time for delivery and did not allot her a bed. “We were not given a bed and we stayed outside (in hospital premises),” the mother told reporters. “When she developed severe labour pain, around midnight, she delivered the baby on the bench itself inside the hospital and the baby fell down and died there were no doctors,” her husband alleged. However, Khammam Government Hospital Superintendent Madan Singh refuted the charges, saying the couple and their family members were making false allegations and added it was a pre-mature delivery as the mother was in eighth month of pregnancy. “There is nothing wrong on part of the doctors at the hospital. When she got admitted, the doctors already explained about the risk factor and complications even before the delivery and they accepted to go ahead,” Singh said. “It was a still-born baby and died due to risk factors,” he said, adding that the doctors even advised the family not to discharge the woman under these circumstances but they got her discharged from the hospital against medical advice and made these allegations.